Raise your horrific pet to perfection! 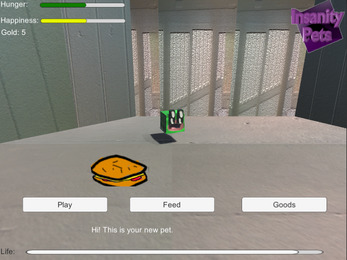 Submission for Rousr's Virtual Pet Jam. My second attempt at doing a game jam. I need to work on scope planning, especially since I ended up having no time for sound. Nonetheless, all assets and code were made during what time I had available of the three day jam, except for some photos I had already taken.